The Mathematics lab is designed to develop and promote student’s problem solving skills. Lab exercises are designed for each class. 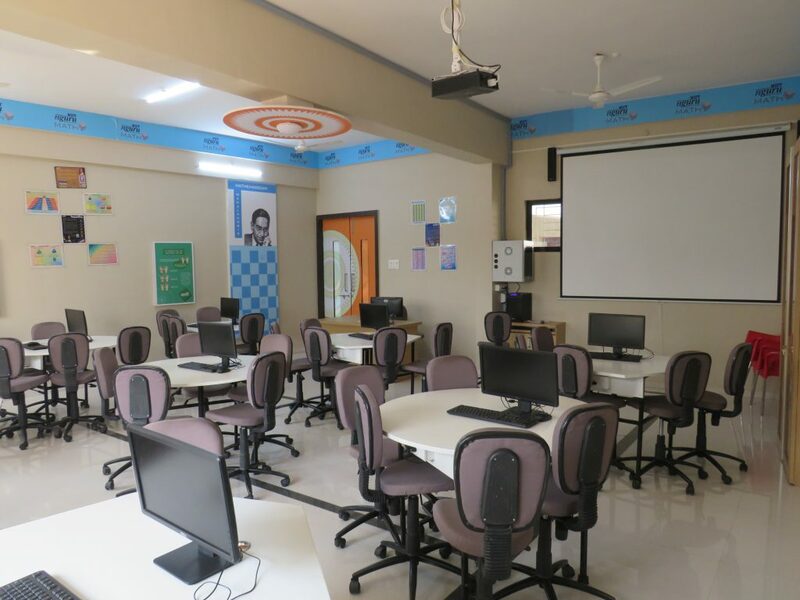 The Maths lab is equipped with multiple teaching learning aids like Multimedia based learning content, activities, worksheets, manipulative, assessment sheets and performance analysis report. Students can construct geometrical figures and explore the mathematical properties using GSP (Geometer’s Sketchpad) which makes learning both dynamic and interactive. The interactive multimedia content comes with videos covering more than 700 + activities, interactive and project work for teaching- learning from Classes I to X.